Home > About Massey > News > Is funding Christchurch’s stadium a political forward pass? Opinion: Is funding Christchurch’s stadium a political forward pass? An artist's impression for a proposed "multi-use arena" for Christchurch. Christchurch residents are faced with a $496 million question: what is a new stadium worth to them and their city? There are two figures floating around. Christchurch City Council has budgeted $253 million – this figure is understood to include the insurance payout for the old stadium – which would provide a 17,500 seat open-air facility. However, a commissioned report from the Christchurch Stadium Trust advocated for a $496 million facility with 25,000 seats, a steel roof, and retractable turf, calling the council’s lesser version a “provincial stadium” and inadequate for the city. Even with the additional $120 million pledged by the Prime Minister last week to help build Christchurch’s new “multi-use arena”, there is a pretty considerable, $123 million funding hole in the budget. While a bidding war between political parties looking to curry favour with voters could reduce the shortfall, one question that isn’t being asked enough is whether we might be saddling the city with an expensive facility that doesn’t pass the cost-benefit test. Alongside its suggestions for a bigger stadium, the consultant’s report also highlighted the fact that the projected earnings of the new facility would not be enough to cover debt repayments. This is a surprisingly frank admission, and not one that should be taken lightly. Dr Sam Richardson questions the need for a second covered stadium in the South Island. Do stadiums really create jobs and wealth? Here’s a few other things to consider from an economic perspective. Firstly, there is no evidence to suggest that a new facility will generate a significant number of new jobs (outside the short-term boost to construction employment) or have a real impact on gross domestic product (GDP). This is because most of facility’s use will be locally-oriented events and the bulk of this spending will be redirected from other entertainment options in the city or region. What about big events like a Lions’ tour, or an All Blacks test? Surely, these will bring in visitor spending to inflate the tills of hotels, motels, bars and restaurants? They definitely bring in more people from outside the area, but bigger events also create displacement effects (where regular tourists choose to avoid a city due to the fact that the event is on). Let’s also keep in mind how often these games will take place in Christchurch. Lions’ tours are rare – before this year’s tour, the previous one was in 2005. The new Christchurch facility is not going to be on the same scale as Eden Park; securing a test match will be difficult with a 25,000 seat venue when you are competing with Auckland, Hamilton, Wellington and Dunedin. Even a Rugby Championship test is a competitive prospect – with three tests per season, there are not enough to go around. Christchurch might get a test match every second season. Consider the case of the Westpac Stadium in Wellington. Considered a commercially successful facility that has covered its operating costs for many years, it is yet to repay any of its principal loans by the public sector – after almost 18 years of operation. Westpac Stadium enjoyed a successful honeymoon period – which international research has shown lasts for up to the first 10 years of a facility’s existence – but there is no evidence that it has increased the city or region’s key economic indicators of employment or GDP. After the first ten years, crowds declined and are now similar to the attendances at Athletic Park before the Westpac Stadium was built. Christchurch can expect much the same. People will attend a new facility because it is new and shiny, but eventually the lustre wears off. Does the South Island need two expensive stadiums? The other question to ask is, why should central government fund another new facility that is in direct competition with other government-funded facilities (like Eden Park) to attract the same events? 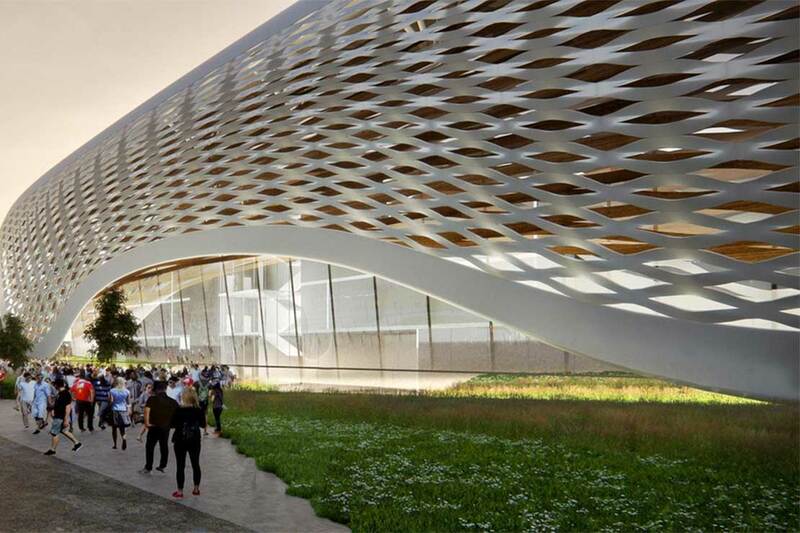 A roofed arena in Christchurch will also put it in direct competition with Dunedin. A successful Christchurch facility does not benefit the country, it just redistributes the income from one city to another. So far, we haven’t even considered the costs of the stadium itself. The costs of building facilities of this nature are renowned for exceeding budgets – this happened most recently with Forsyth Barr Stadium, a facility costing less than half of what is being proposed in Christchurch. Dunedin ratepayers were told that they wouldn’t pay a cent more than was costed at the beginning – but cost overruns were met by ratepayers. If Christchurch has to compete with Dunedin to attract major events, then there will also be calls for further funding to sweeten the bids presented to promoters to stage events locally – not just in Christchurch but in Dunedin as well. Facilities also require cash to keep operating and the Christchurch City Council has said ratepayers will not pay anything more than the $253 million budgeted. If the facility doesn’t cover its costs, who will be called upon to ensure it can pay its bills? It is hard to see anyone other than local ratepayers having to shoulder the additional (and likely sizeable) burden. Even when you consider the “feel good” argument that Christchurch needs post-earthquake support, the case for government investment isn’t a particularly strong one. Support for the redevelopment of the city is needed, but many would argue that funding might be better targeted at other infrastructure projects. There is already an admission the new facility is likely to struggle financially, so it is hard to paint the news of Bill English’s latest $120 million pledge as a win-win for Christchurch ratepayers. You can’t help but feel the city will be paying for its new stadium for many years to come – if history and international evidence is anything to go by. 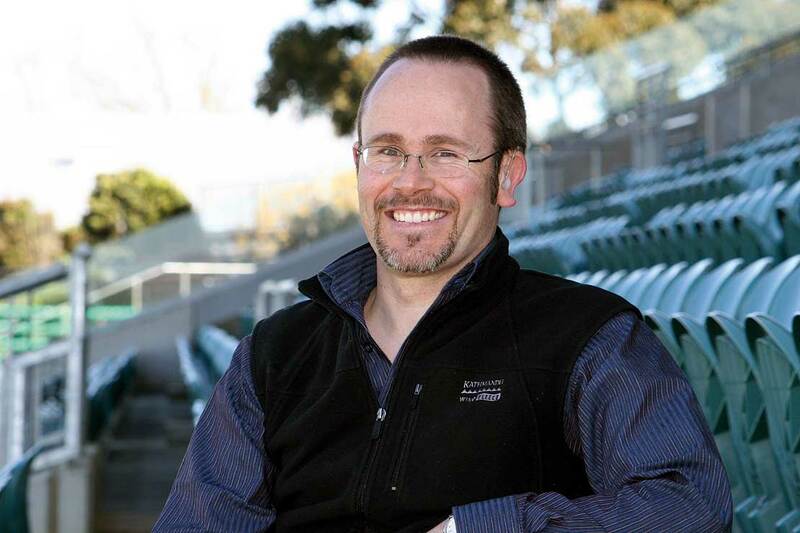 Dr Sam Richardson is a senior lecturer with the Massey Business School and an expert in the economics of sporting events.